Bug Fix – File Browser – SSH Private Key not functioning correctly- reported by Jeff D.
Bug Fix – Editor – Loading many small files compressed in 7z format is very slow – warren K.
Bug Fix – Editor – Fix issue with some HL7 Standard Table values not showing properly. Reported by Paul R.
Bug Fix – Fix issue where the name of a Custom Code snippet cannot be renamed. Bug Fix – [NullReferenceException] Object reference not set to an instance of an object. Feature – Add “Exit HL7Spy” menu item – Larry B. 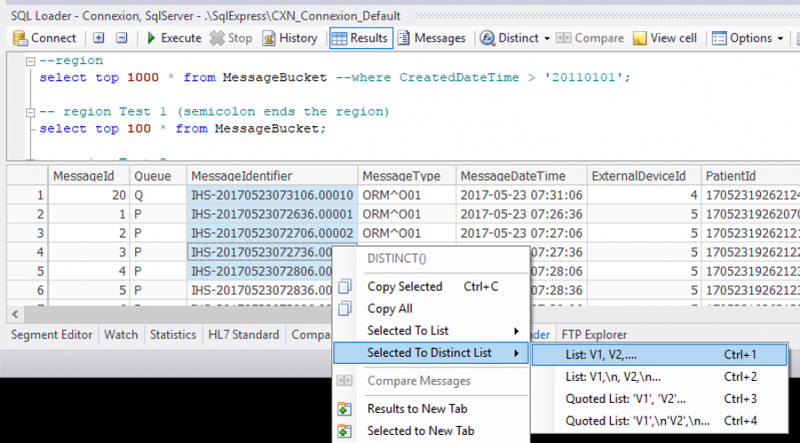 Feature – HL7 Send – Add the ability to log the low-level communications protocol. Requested by Philip D.
Feature – Global Custom Code – A Custom Code function that can be used by other Custom Functions. This feature allows users to consolidate commonly used code into a centralized place that can be used across multiple functions. Bug – Fix Error An exception was thrown during handling the topic ‘ShowMessageFramingView’ System.ArgumentException: Input array is longer than the number of columns in this table. Bug – HL7 Send – Issue if the End of Frame markers in the ACK are sent in a separate network packet. Found by Philip D.
Feature – HL7 SQL/SQL Loader – Add support for exporting column to quoted list – Albert E.
Bug – Bulk Compare Tool – Escape double quotes and commas in Generate Report – Jeff D.
Bug – HL7 Editor – Fix issue where “Unescaped Field To Clipboard” menu item is repeated each time the user right-clicks on a field. Reported by Jeff D.